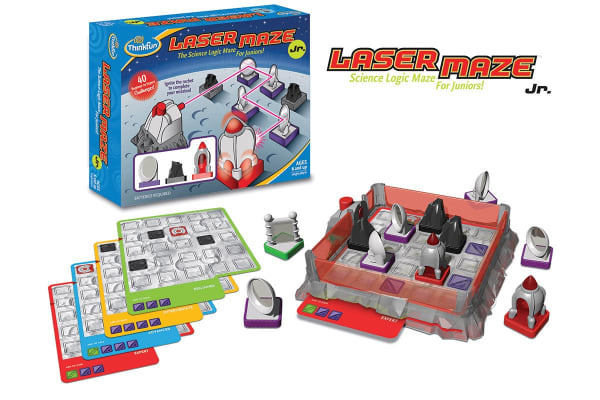 Direct the laser beam through this series of mind-challenging mazes in this junior version of the award winning Lazer Maze. The game is designed for solo play, and provides hours of fun and entertainment with its challenging targets. Carefully place the satellite mirrors to guide your path, but watch out for space rocks that might get in your way!